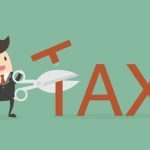 Lawyer Nick Nemeth, who founded the reputable Dallas law firm of the same name, identifies 4 essential steps that taxpayers who are involved in a dispute with the IRS should take. 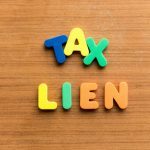 Dallas, TX –August 28, 2014– Law firm managing partner Nick Nemeth, a well regarded tax attorney in the renown legal firm in Texas, recently published another blog entry for his website which discusses controversy with the IRS and the ways that taxpayers can handle communications from this agency. 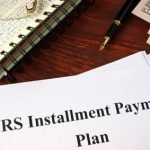 The blog entry has the title “It Doesn’t Have to Ruin Your Life: Four Ways to Minimize the Damage from an IRS Tax Dispute”, and it explains why a tax dispute or controversy with the IRS does not have to devastate your life or make you miserable. 1) Only provide the documentation and information that the IRS is asking for, nothing else. Avoid the temptation to give the IRS everything you have or try to overwhelm the agency with receipts and documents that were not requested. This will only provide additional ammunition and more areas for the IRS to examine and evaluate. You will make your circumstances even worse instead of better, and the IRS will not be appreciative. 2) Make sure that you have all of your documents and supporting information together, and in a place where you can get to it and locate each item quickly. 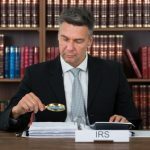 Documentation is something that the IRS places a high priority on, and this can be a deciding factor in any IRS tax dispute. If you can show documentation to back up your tax claims then you will be in a much better position, and get a more favorable outcome. 3) Always stick to any deadlines that the IRS gives you. You may be tempted to ignore any communication from the IRS but this will only increase the issues and the penalties. The Agency will not back off, they will continue to use more aggressive methods until they get what they want if you try to ignore them. Pay attention to any deadlines listed in IRS correspondence. 4) Contact an experienced tax attorney for advice and guidance. You do not want to fight the IRS without an experienced tax attorney because if you try you will probably lose, and your life will be miserable in the meantime. Nick Nemeth is a lawyer with 15 years of industry experience, and also an author of best selling publications as well. He has worked tirelessly with individuals and also with businesses to ensure that his clients are protected from IRS aggression and over reach.